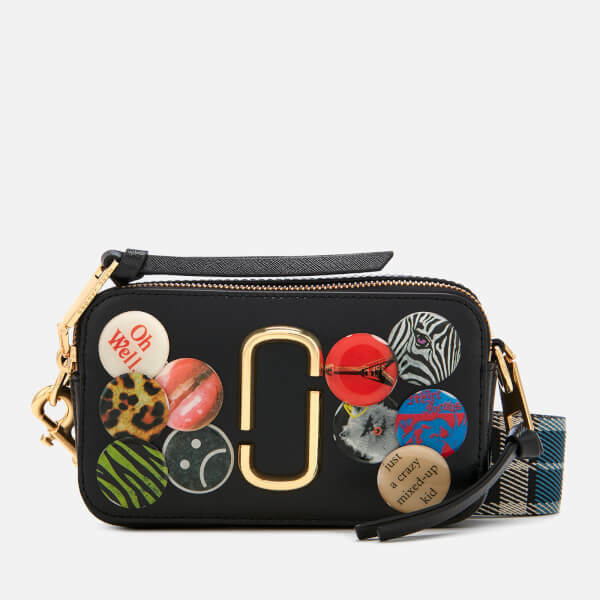 Women’s ‘Snapshot’ cross body bag from Marc Jacobs. 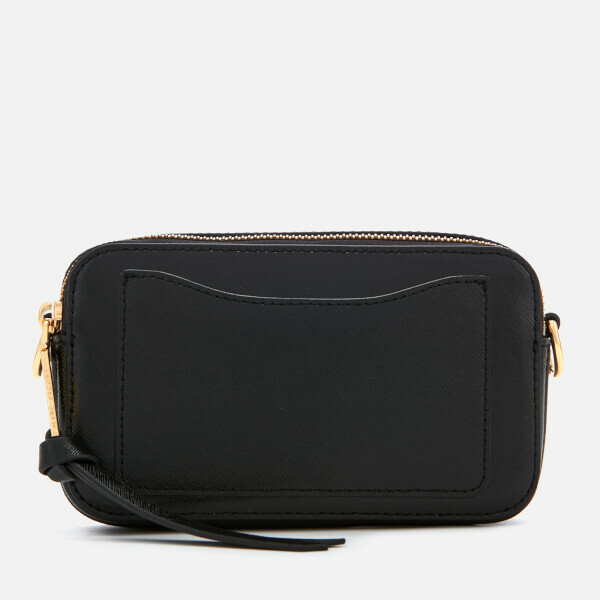 Presented in premium textured leather with a shiny, durable coating, the black shoulder bag comprises a dual-compartment design secured with a pair of top zip fastenings. 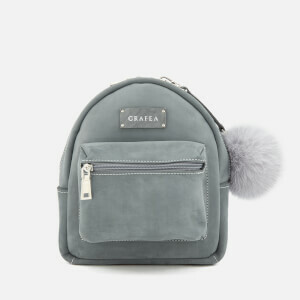 The lined interior boasts a slip pocket for small essentials, whilst a further slip pocket features to the rear of the structure. 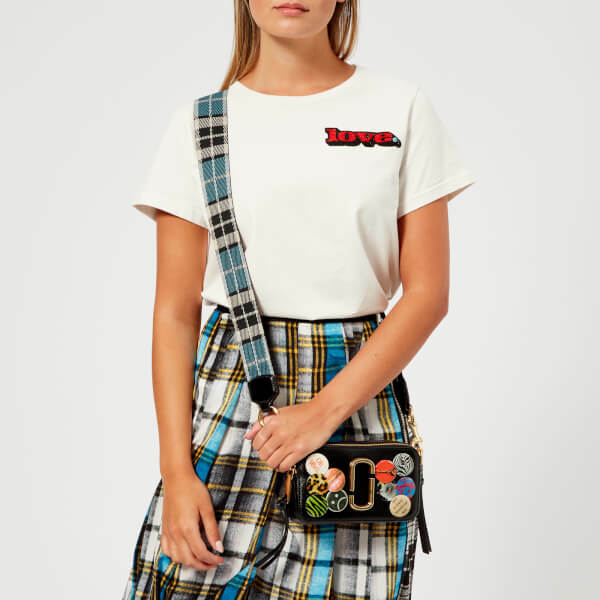 The adjustable tartan-print shoulder strap can be removed to create a clutch bag, whilst a collection of colourful badges adorning the front adds a youthful touch. Bold metallic ‘Double J’ branding completes the design. Dimensions: H: 11cm x W: 18.5cm x D: 5.5cm. Handle Drop: 79cm. Strap Drop: 43cm.